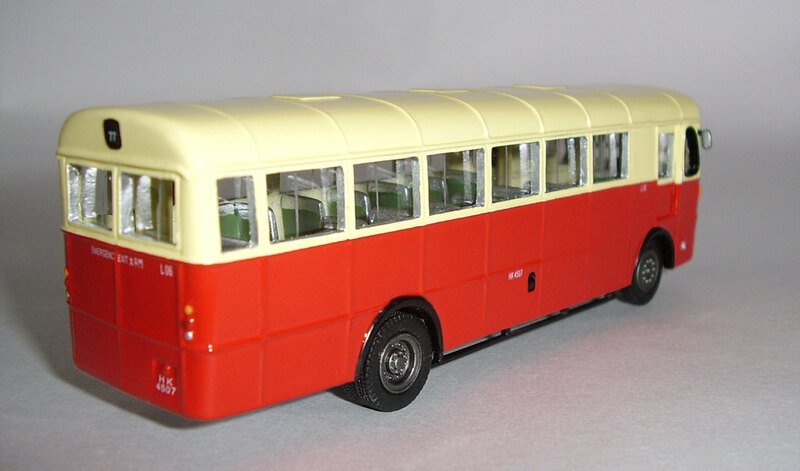 The model - news of this model was appeared on the Hong Kong Model Co website in early January 2009, with a release date of 1st January. 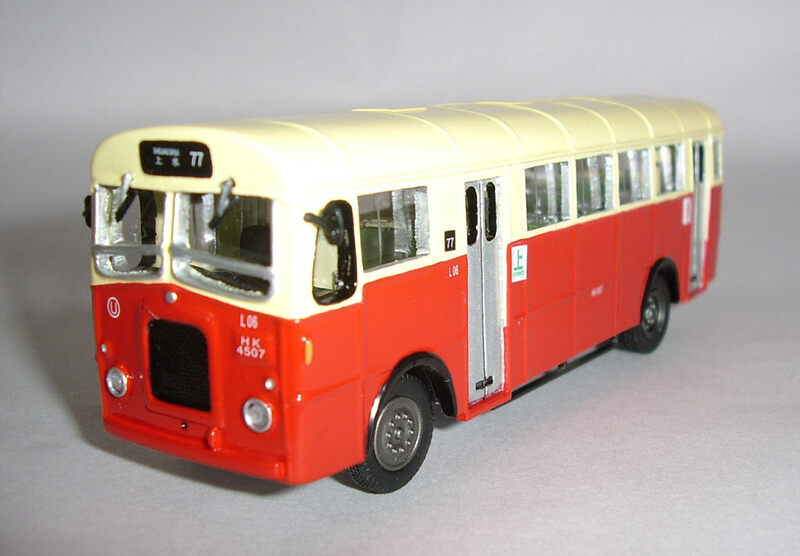 The bus - HK4507 was new to Kowloon Motor Bus in January 1961 and was fitted with British Aluminium Co. body, built in Hong Kong from kits shipped from the UK. It was one of 101 such vehicles delivered in 1961. In 1976 three examples were rebodied by KMB, this model representing one such bus.